A common method of cyber fraud that involves deceiving victims into handing over personal information like passwords, email address’s, bank accounts and account names. This is otherwise known as ‘Phishing’ and usually comes in form of an email or website where the victim will submit person details under the impression the website is safe and legit, or even plant malware onto your device, which can potentially gather a lot of the victims details over time. 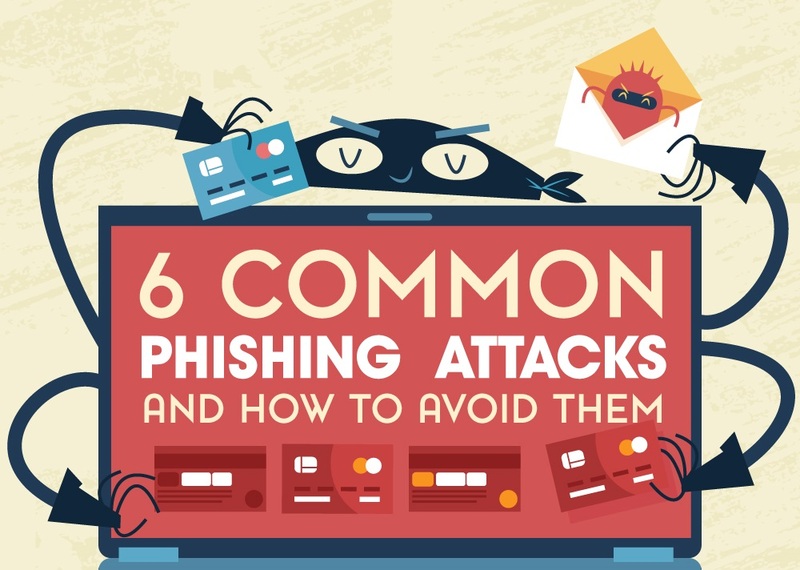 In this infographic are 6 common phishing scams and how to avoid them.